Gear up and enjoy your trip! For more than 50 years Craghoppers has developed new materials and detail for its products. 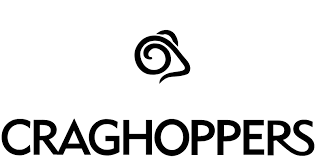 Craghoppers apparel protects you from the elements, whether you’re climbing a mountain or hiking through a rain forest. Craghoppers uses Nosilife technology to protect consumers from disease spreading bugs such as mosquitoes and ticks. The technology is applied to the material before it’s made into a fabric form. Nosilife is unnoticable for the user, but reduces insect contact by as much as 90%.